Similar to a Honda Civic, a Toyota Altis is the more roomy cousin of a Toyota Vios. 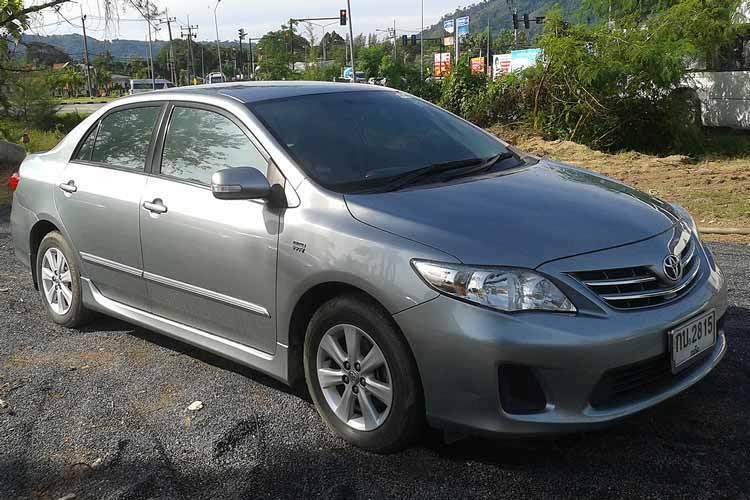 It's 1.8 litre engine will whisk you around Phuket in comfort and safety. A 5 seater but with more room than a Vios and a larger engine it is also fitted with a radio/CD player, USB connection & Aux input for iPhone/ipod. Another good selection for up to 5 people to tour the island comfortably. Braun Car Rental are Fully and Comprehensively Insured with The Safety Insurance Company of Thailand for our vehicle and any vehicle or property you may be in collision with. This insurance is not an extra, it is included in our rental price read more.